The issue of preventing conflicts will be discussed in the 14th meeting of the OSCE Ministers in Brussels on December 4-5. According to the information provided by the OSCE, the event is held with the invitation of the OSCE Chairman-in-Office, Belgian Foreign Minister Karel De Gucht, Trend reports. The meeting will give opportunities to the Foreign Ministers of 56 countries to assess and review their activities over the past period and offer their national views on security. The OSCE is the largest regional security organization that brings together the countries of Europe, Central Asia and North America. The aim of the organization is to prevent the conflicts, regulate crisis and rehabilitate the post-conflict territories. 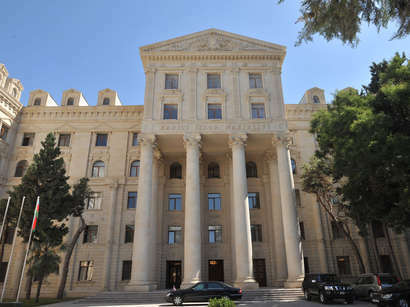 Azerbaijan will be represented in the event by the Foreign Minister Elmar Mammadyarov.